When I was young I never thought that “Green” and “Diesel” would ever go together. If you’re like me, when you think diesel you think smelly buses and trucks belching pollutants. 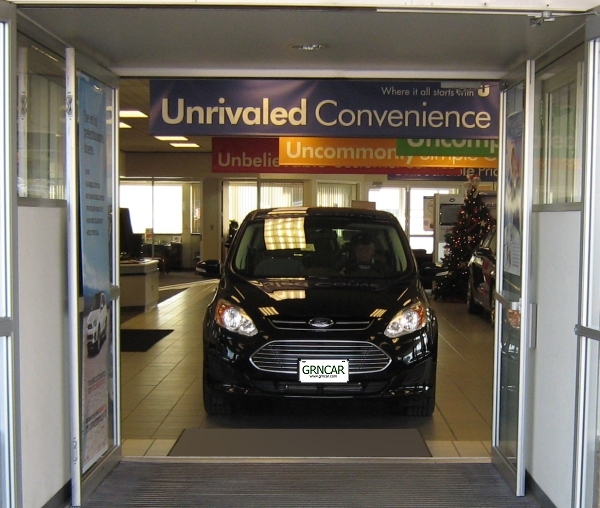 When you think of diesel cars, you think noisy, slow and hard to start – in addition to smelly and polluting. Still, even back when I was young diesels had two redeeming qualities – high mileage combined with low cost fuel. Now, with gas getting more expensive diesels engines are making a comeback. The new generation of “Green” diesels were pioneered in Germany – where gasoline has always been expensive – by companies like BMW, Mercedes-Benz and Volkswagen. Thanks to the increasing price of fuel and the popularity of diesel engines in Europe companies like GM have started making diesels and are now introducing them to the United States. While companies like Volkswagen have offered diesels in the US for years they never really caught on. This is due to a variety of reasons: the old diesel engine’s reputation as a polluter, its poor starting in the winter, in some cases its unreliability – diesel Oldsmobiles in particular – and their poor acceleration. Now GM is trying to change all that. The 2014 Chevy Cruze diesel is GM’s first diesel passenger car available in the US since the late, unlamented Olds. It’s hard to believe that in 1981 Oldsmobile actually sold 310,000 diesels – those diesels may explain why Oldsmobile is no longer with us. The Oldsmobile diesels were notorious for being slow and unreliable. Still, Chevy has been selling the diesel Cruze in Europe since 2012 and has already sold 35,000 of them. The new Cruze Diesel promises highway mileage that rivals many hybrids – 46 miles per gallon when equipped with a 6-speed automatic transmission. Based on GM testing, the Cruze Diesel has a range of 717 highway miles – that about 10 hours of driving for the average person. But how does the Cruze due in the city compared to hyrbrids? Not so good. The Cruze diesel delivers only 27 miles per gallon, not much better than the gas powered Cruze and much lower than most hybrids. 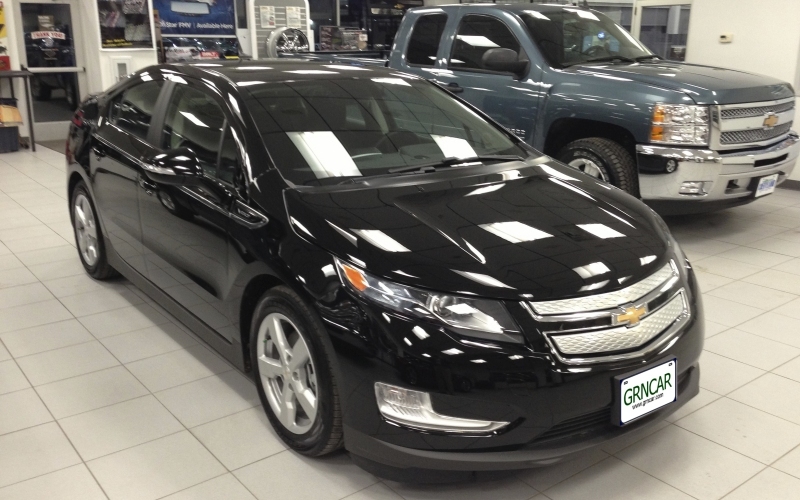 Even worse, Chevy exacts a fairly stiff penalty for the diesel Cruze. The Cruze Diesel is $2,560 more than the similar gas model, the Cruze 2LT, and it’s $4,010 more than high-mpg Cruze Eco. 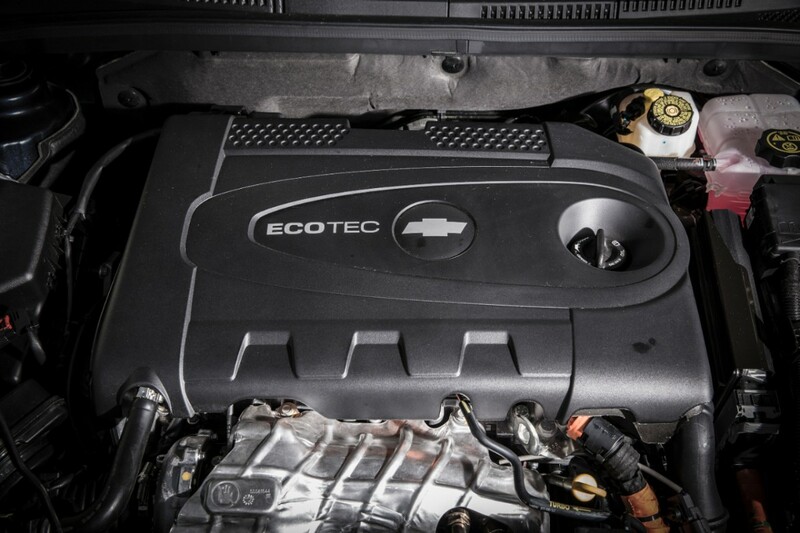 Of course the best news is how clean the Cruze diesel is. The Cruze diesel produces 90 percent less Nitrogen Oxide (NOx) and particulate emissions when compared to previous-generation diesels. These new clean diesels compare very favorably with gasonline engines in terms of emissions thanks not only to their design but also the fact that all diesel fuel sold in the United States is the ultra-low sulpher type. When you combine better fuel with cleaner engines you end up with diesel cars that produce less smog producing pollutants than many gas powered cars. 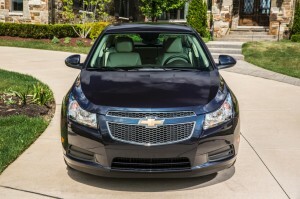 The second best news for the Cruze is its acceleration. Its 148-horsepower engine produces 258 lb-ft of torque and can go 0-60 in about 8.6 seconds. With a starting price of $25,695, including an $810 destination charge, the Cruze Diesel is a little cheaper than a comparably equipped VW Jetta TDI automatic. 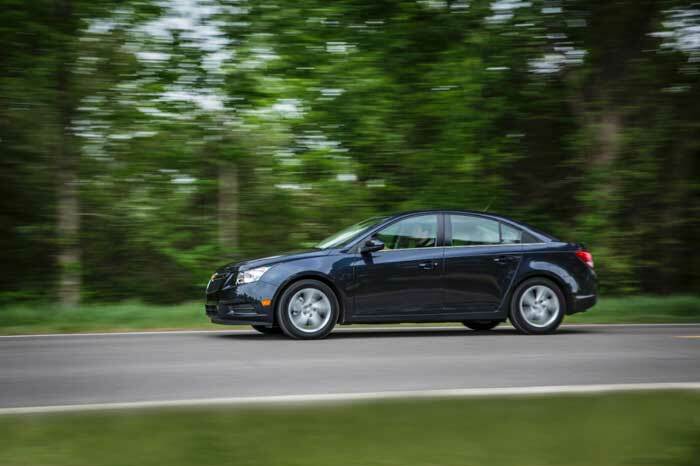 Compared to the Jetta, the Cruze Diesel offers as standard larger 17-inch alloy wheels, leather-trimed seating, a longer five-year 100,000-mile powertrain limited warranty, and a two-year maintenance plan; the comparably equipped Jetta retails for around $26,325. The Cruze Diesel has already started showing up at a few Chevy dealerships and will be available nationwide and in Canada by the end of the year. If you drive a lot of highway miles and live in a location where most gas stations also carry diesel fuel the Chevy Cruze Diesel may be worth a look. Because the Diesel Cruze sticker price is in the same price range as the proven Prius hybrids I would expect discounts on the Cruze diesel to be available not long after its introduction.